Put flour into a large mixing bowl. Fluff it gently and very briefly with a whisk. Add cold butter and shortening and cut into the flour with a pastry blender until pea-sized crumbs form. Make a well in the center of the mixture and pour in the buttermilk. 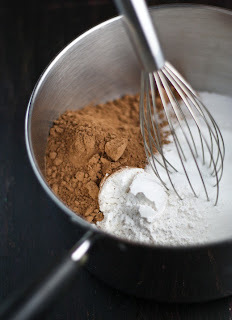 Mix with a fork until the liquid and dry ingredients are just combined (if your dough is too stiff, add 1-2 more tbsp. buttermilk). Turn the sticky dough out onto a lightly floured surface. Knead 5 or 6 times and pat dough out flat with well floured hands to 1″ thickness. Before you cut the dough into rounds, be sure that your cutter has a sharp edge. This helps them to rise accordion-style with a distinctive flat top that will brown evenly. Also, press the cutter strait down into the dough without twisting. Twisting the cutter can make the biscuit misshapen and hinder rising and it bakes. Bake for 15 -20 minutes. Remove from the oven and brush the biscuit tops with the 2 tbsp melted butter. Serve warm. In a medium sauce pan whisk together the dry ingredients. Pour in the milk and whisk vigorously to combine. Heat over medium-high until the mixture bubbles. Turn heat down to medium and stir until mixture has thickened to a gravy consistency. Remove from heat and stir in butter and vanilla. Let cool slightly then transfer to a gravy boat. 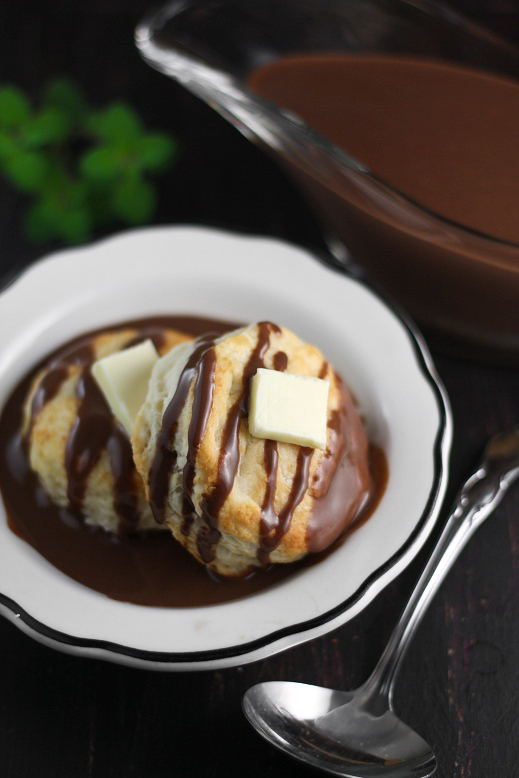 Serve warm over buttermilk biscuits. In a medium bowl, whip all ingredients together on low speed with a hand-held mixer. Pour mixture onto a length of parchment paper and roll into a log. Wrap butter and parchment in plastic wrap and let set for 2 hours in the refrigerator. 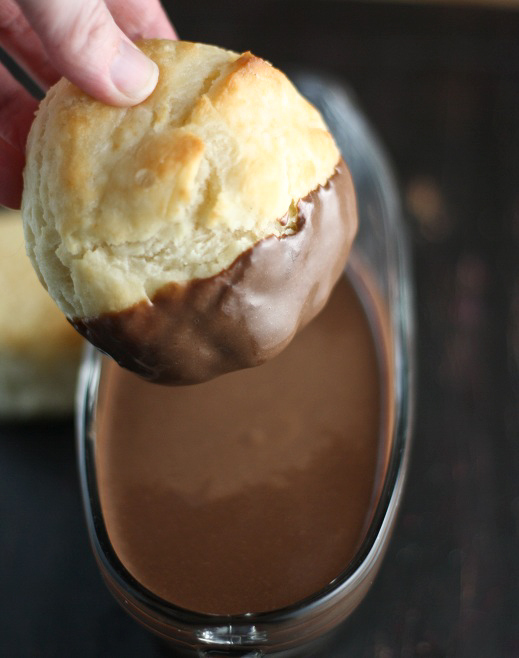 Serve on warm biscuits or yeast rolls.